A 30-second spot during the Super Bowl can cost upwards of four million dollars, so it better pack a punch. It appears that the Frito-Lay’s marketing team agrees. For the last ten years, Doritos, a Frito-Lay brand, has asked people from around the world to submit a commercial to the “Crash the Super Bowl” contest. The winner attends the game, receives one million dollars, and lands a “dream job” at Universal Pictures. This year marks the 11th and final competition and there are three finalists in the running. The first commercial, “Ultrasound” isn’t for the faint of heart, but is hilarious. “Swipe for Doritos” is a play on a popular dating app, Tinder, and “Doritos Dogs” is very cute and very clever. Who doesn’t love dogs? The three commercials are quite different, but they all have one thing in common, you will most likely be sporting a six-pack after viewing them from laughing so hard. Go to https://crashthesuperbowl.doritos.com/finalists/ to vote for this year’s winner. The three finalists were announced on January 4th and now people will have until February 7th, the day of the Super Bowl, to see if their favorite won. 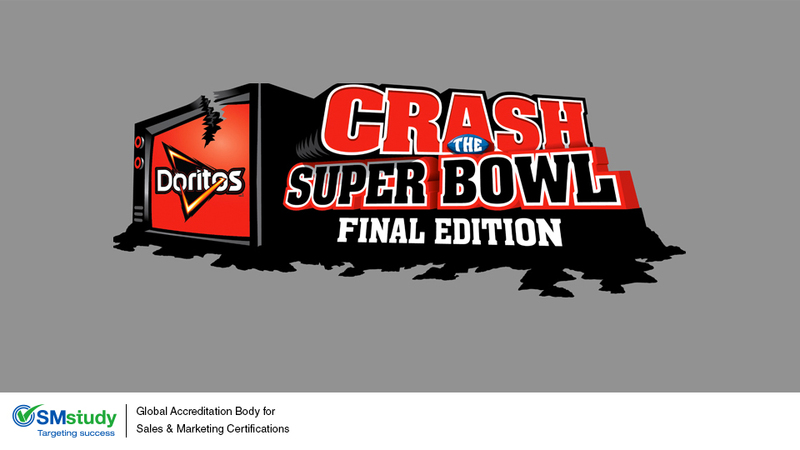 The Doritos #CrashTheSuperBowl was the first of its kind. It paved the way for companies such as Chevrolet and CareerBuilder, who also pursued online commercial competitions, but Doritos was the only campaign that succeeded. Last year’s fan favorite had more than seven million views! A study done in 2015 by Medill IMC’s Spiegel Digital and Database Research Center showed that people who participated in the contest were more likely to buy the product and thanks to these participants, sales increased by 42 percent in the first week (post events) and continued to increase by 35 percent by the fourth week. With the success that has been generated over the years with this campaign, it will be exciting to see what Frito-Lay comes up with next.